Bullying can be stopped if you know what to say and how to say it. 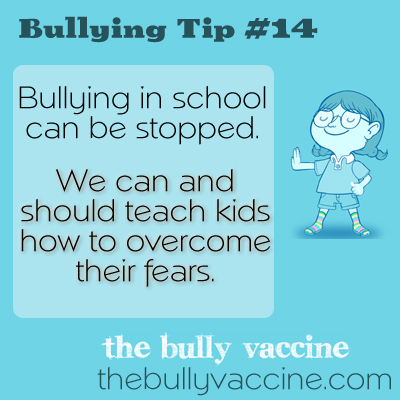 We can and should teach kids how to overcome their fears. We need to teach kids what to say, how to say it and who to report it to and we need to support them when they do!